Complete an Inmate Request form requesting information and materials by checking the "Voting Information" box. The voting coordinator will contact you. Fill out your Voter Registration Card and Vote-by-Mail Ballot Application. Include your booking number on each. Return both to the facility voting coordinator or their designee. When you receive your ballot, mark your choices and return to the facility voting coordinator or their designee. You can find out if your vote-by-mail ballot arrived at the county elections office, if your ballot was counted, and, if not, the reason why it was not counted by calling 800-815-2666. The ACLU SoCal Jails Project will also have volunteers go inside the LA County jails to register individuals who are incarcerated to vote. *If you requested a vote-by-mail ballot from jail but are released from custody before you receive your ballot, you can still vote. Just go to the polling place for your home address or any polling place in the county where you are registered and vote a provisional ballot. Federal law requires that the Los Angeles County Registrar-Recorder/County Clerk provide translated election materials and bilingual support in English, Spanish, Chinese, Korean, Vietnamese, Cambodian/Khmer, and Tagalog/Filipino. LA County also provides support in Hindi, Japanese, Thai, Farsi, Armenian, and Russian. If you wish to receive your voting materials in a language in addition to English, please detail so on your Inmate Request form and Voter Registration Card. If you are not a resident of Los Angeles County, you can still send a request for materials to the Los Angeles County Registrar-Recorder/County Clerk. The LA County Registrar-Recorder will ensure that the request is sent to the appropriate county elections office. This election includes the following contests: Sheriff and several others. 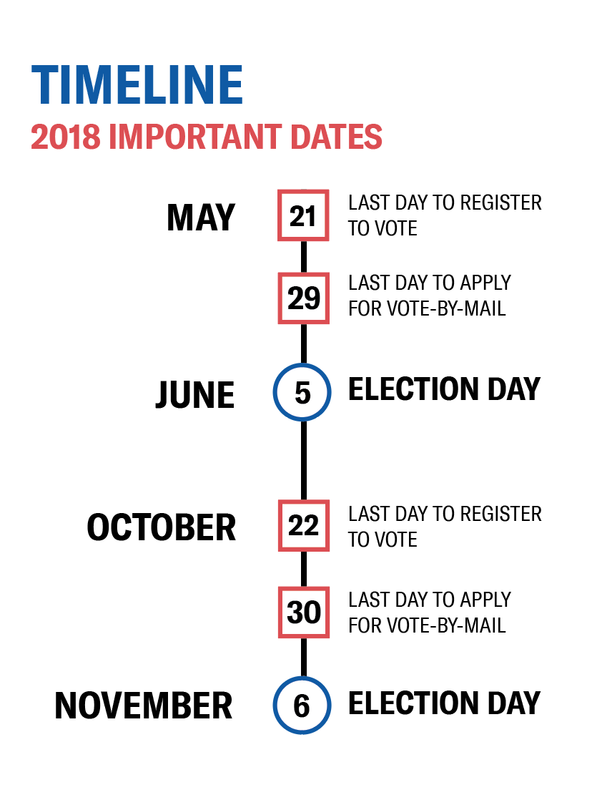 If you register to vote you will receive additional materials about the races and candidates.